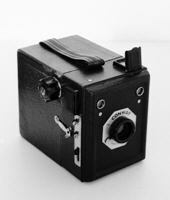 Some time ago I came across some old box cameras when browsing some auction sites. 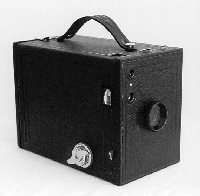 The old Kodak Brownie camera's looked so beautiful and simple that it was just a matter of days to decide that one day I wanted to have one of those. When browsing the eBay pages I found someone who had three old box cameras for sale, a Brownie 2 model D, a Six-16 Brownie and a Target brownie 620. Of course they needed some cleaning and fixing up (the glue that keeps the viewfinder mirrors in place is old and the mirrors didn't stick to their normal place anymore) but now they look great again. Before I received these camera's however I walked by a shop in London in March 2000 that sold a Kodak Brownie 2 model F (built from 1924 - 1933) in near mint condition. Since this camera takes 120 roll film you can still use it. Of course the quality of the lens is not great as this camera was meant to be sold to the masses but it's would give you at least the same quality pictures as in the old photo albums. Of course what you do is to look for more information on the things you just acquired and which better place to look for than the internet. There are some great sources information, if you're interested in these old camera's, check out his links at the bottom of this page and google for more.  the different models, the history and a lot of other information, check out this site. information and a good links section.